We are not only your premier agents for the North Shore of Kauai. 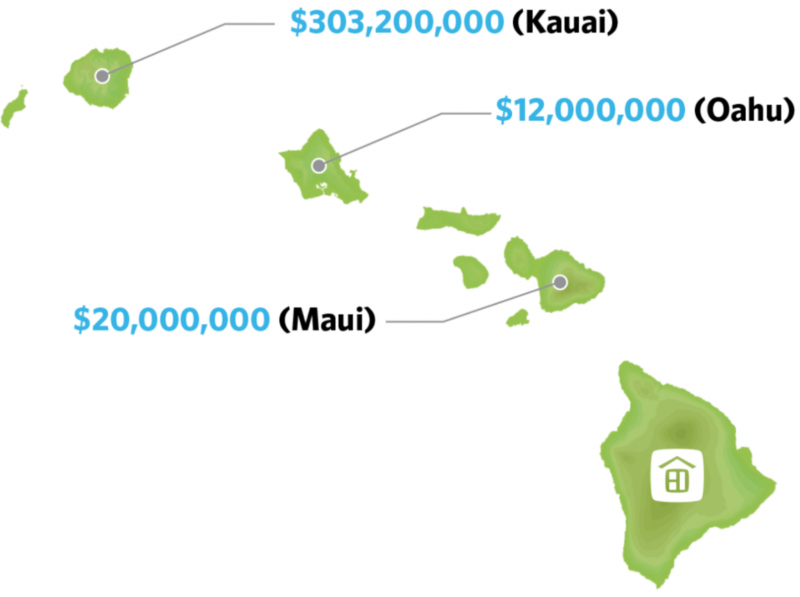 While our focus may be on Kauai, the reach of my team and me for offering the highest level of Buyer and Seller representation extends island wide and statewide. On Kauai, we have continually represented Buyers and Sellers who have been searching for or selling the finest property on Kauai’s South Shore and even West Side. Currently, we list over $25,000,000 of inventory on Kauai’s South Shore, featuring oceanfront homes in Poipu to sleek modern homes on the hillsides of the Kukui’ula luxury community. We are also more active than ever across the state. Over the past year, we have represented Sellers on inventories ranging from luxury Honolulu penthouse condos to oceanfront acreage offerings on Maui. We have recently closed two newsworthy transactions including Seller’s representation of a $20M beachfront home on Maui and Buyer’s representation of an incredible Vladamir Ossipoff beachfront home in Lanikai on Oahu which sold for $12M. No matter where you are listing or looking to buy the best properties across the Hawaiian islands, we have the infrastructure to give you top of the line representation.